Hermès, which began in 1837 with the establishment of a harness-making workshop in Paris, is an internationally standing brand that remains committed to the ongoing renewal and application of savoir-faire, while pursuing fresh avenues of creativity. Hermès brings together past, present and future in its traditional craftsmanship combined with the finest materials to create innovative products. By drawing on its historical roots and applying the house values to its ongoing innovation, the brand continues its steady growth whilst maintining its exclusivity. 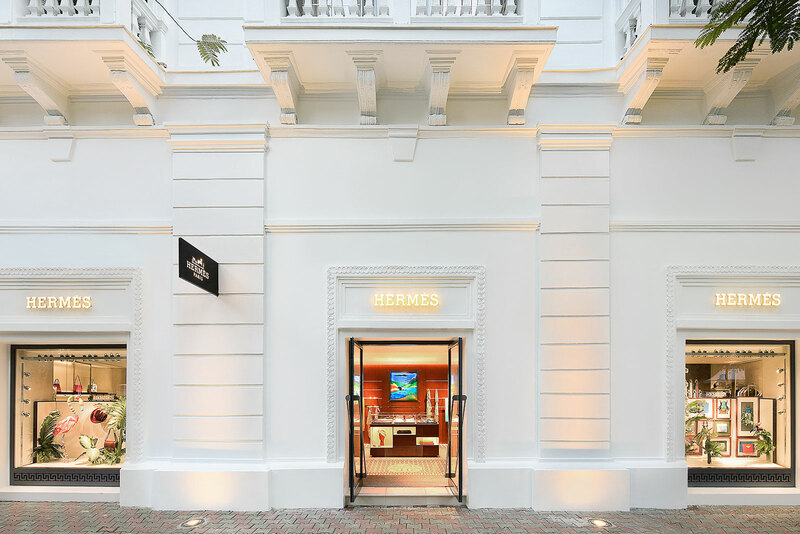 Today, the Hermès name appears on 16 product families from bags and luggage to ready-to-wear to the recently developed Hermès furniture, upholstery and wallpaper. 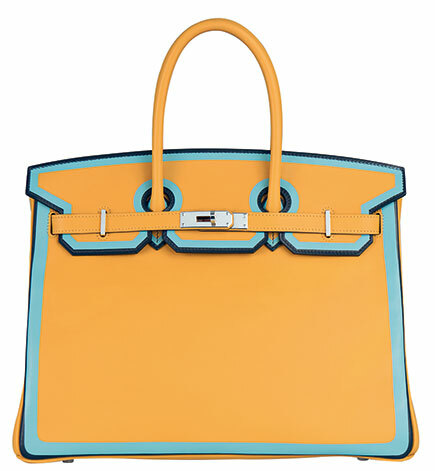 The “Birkin” is a signature Hermès bag named after English actress Jane Birkin. After a chance encounter with Jean-Louis Dumas in 1981, she complained that her “Kelly” bag was not practical for everyday use. Consequently, he invited her to France where they co-designed the bag in 1984. He tweaked the original Haut à Courroies bag which was used to carry equestrian gear so it was more versatile, easier to carry and modern. The iconic tote became forever known as the ultimate status symbol. The Kelly bag, first produced in the 1930s when it was known as the Sac à dépêches. In 1956, a photo of Grace Kelly, who had become the new Princess of Monaco, was pictured carrying the Sac à dépêches bag to hide her pregnancy. These iconic photographs surfaced in media all over the world and as a result, the bag became known as the ‘Kelly’ and has become a signature Hermés bag. Since the very first silk square was produced in 1937, Hermès’ 90cm x 90cm carré has become an iconic item and a work of art, with more than 1,500 versions created up until now. Each season more than 10 new designs are transposed onto silk from paper and each print tells a unique story. The different types of the Hermès carré square scarf -45cm, 140cm, 70cm- have become an essential part of the contemporary women’s wardrobe. Famous for its incomparable softness, the silk from which the Hermès carré is made comes from a Brazilian mill. The mill collects the products of local sericulture and supplies skeins of raw silk to the Perrin establishments, who have been weaving silk for Hermès for half a century. In Lyon, raw silk is processed, spun and woven until developing the final carré scarf. 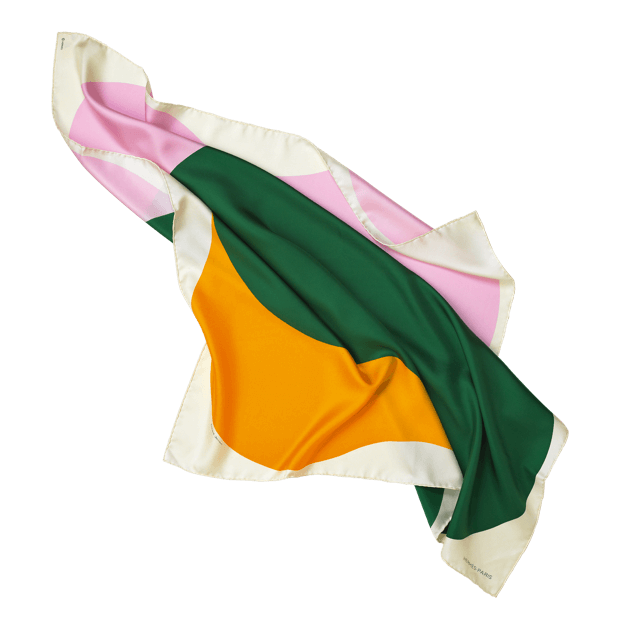 This Hermès scarf is derived from endless inspiration of image, color, material, size and style.